Teenagers’ growth is so intense that it dramatically challenges their sense of balance. They need to build up strength, endurance and speed. Opportunities to meet and move are crucial to teenagers, not least because physical activity seems to be declining in this age group. Statistics show an alarming growth in the number of teens that are physically inactive. 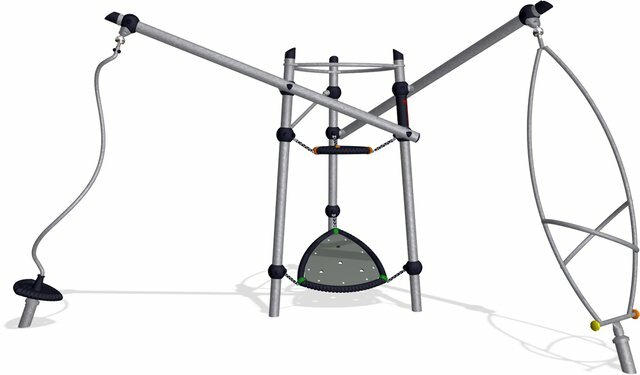 Teenagers say their favourite activities in play spaces are swings, climbing equipment, trim trails and ball game pitches. Activities that are challenging and seem somewhat daring are the most popular. During the teenage years, social interaction with peers becomes more important than ever. Teenagers need to be with and make new friends, preferably in large groups. This is essential when designing for them. Our team of experts would be happy to help you with your project. Call us on 01908 201 002 or click the button below and one of our friendly team will be in touch!